Purchase: This publication is available to buy online from the TSO Shop. 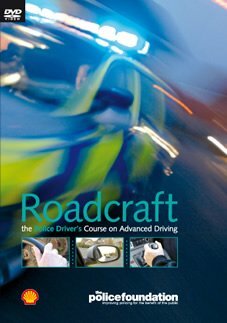 Ideally suited to any driver who wishes to improve their driving skills and safety record, this DVD tracks police candidates on an advanced driving course run at the Metropolitan Police Driving School, Hendon. Expert tutors put candidates through their paces, giving insight into what it takes to be an advanced driver, including skid pan manoeuvres, night and motorway driving. A useful companion to the Roadcraft handbook.